Unions Push for Exemption from New Minimum Wage Law | Which Way, L.A.? 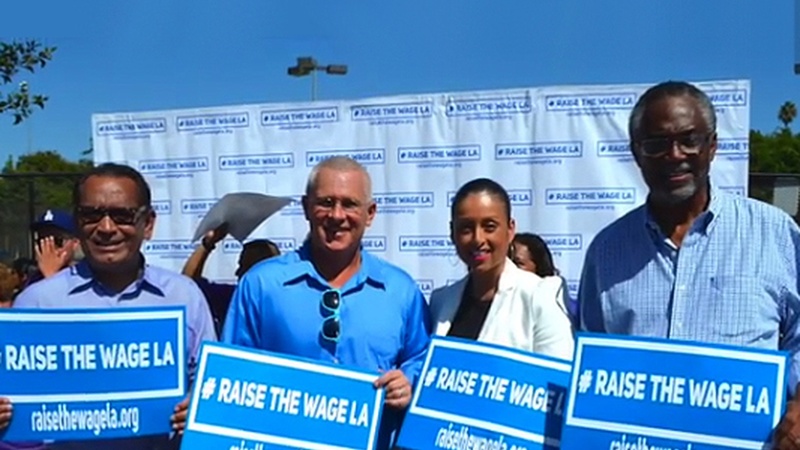 LA labor unions are dialing back their position on the minimum wage. After campaigning for an increase for months, they're now pushing for a last-minute exemption for businesses with unionized workers. Why the switch? Could this new request derail wage reform in LA? Guest host Barbara Bogaev looks at the latest power tussle over $15 dollars an hour minimum wage. Also, like everyone else, cemeteries are grappling with the drought -- some less peacefully than others. Labor Asks for a Pass on LA's New Minimum Wage?